The law says it is illegal for anyone under the age of 21 to consume alcohol in Michigan. The State reinforced this law with a Zero Tolerance/Minor BAC law for underage drivers who operate a vehicle while intoxicated. If you're under 21, and you're operating a vehicle with a blood alcohol content of .02 to .07, you can be arrested for Operating While Intoxicated - Zero Tolerance. There is currently no jail time for this offense, but there is substantial community service and fines involved. If you are charged with this crime for a second time, you could face up to 93 days in jail. The most important aspect of these charges are that they can be used as prior convictions in the future. For example, if you have this charge on your record, the next time you are charged with drunk driving, it will be charged a second offense. 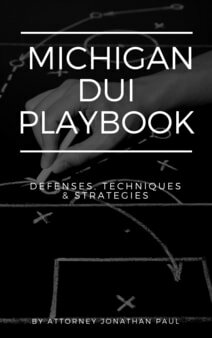 This charge is unique to a minor, but does not stop the prosecution from charging a minor with any of the other Michigan drunk driving offenses. It's important to note that a person under 21 years old is usually entitled to the Holmes Youthful Trainee Act, which allows a 17-20 year old to avoid a criminal record, but this does not apply to traffic offenses such as drunk driving. 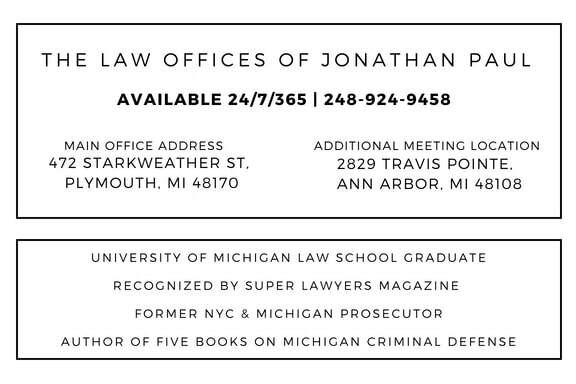 If you are charged with Michigan drunk driving, but are under 17 years old, you will be charged as a juvenile. You should speak with an attorney about the differences of being charged a juvenile vs an adult.